Sometimes it even prevents me from logging into the system. At first, I thought it might be just a problem with this specific flavor of Linux. But the error just kept coming back even after changing to other Linux distributions. After a bit of Google searching I located a blog article here, describing the same problem and it was caused by the Microsoft Wireless Keyboard I am using! 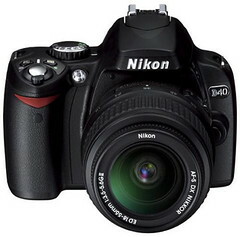 The coming of Nikon D40? I have had my D50 for a while and loved it, and you know what? It appears that Nikon is going to release a new budget digital SLR camera: D40! Photos and specifications have been leaked to a few websites including this one: KenRockwell. The entry price for the D40 would be around $500 (body only), which sounds incredibly attractive for people who’d like to get great photos and don’t mind carrying a large camera around (like me). Anyway, let’s see how this rumor turns out. You are currently browsing the The Geeky Junkyard of kingler weblog archives for November, 2006.